One of the largest attractions in Wrightsville Beach – both literally and figuratively – is the town’s miles of ocean-facing shoreline. And over the decades, the local beaches are the prime reason why millions of visitors have discovered, (and return to), this cool coastal community. With parking available throughout the town, seasonal lifeguarded beaches, and wide shorelines where splashing around is a breeze, it’s easy to see why people keep coming back to enjoy the local shorelines that have made this vacation destination famous throughout the generations. Brush up on all there is to know about the local beaches, and make sure your upcoming vacation is as stress-free and as sunny as possible in the process. 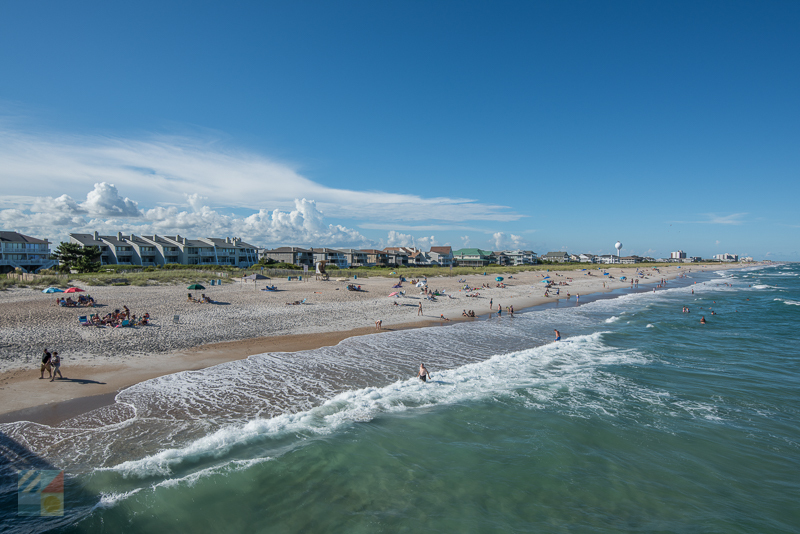 With miles of beaches to go around, it’s always a great time to enjoy the shore in Wrightsville Beach. Parking is available throughout the town in Wrightsville Beach, both at designated parking lots and along side streets where meters mark the spot where visitors can pull in and hit the sand. Parking rates are generally $15 per day, or $2.50 per hour, from March 1st until October 31st, and parking is free in the off-season months. Paid parking is enforced seven days a weeks, unless otherwise posted, so visitors will want to make sure they follow the parking guidelines, (and fees), to ensure their vehicle is waiting for them when they step off the shore. Residential parking permits may be required for certain streets that are located in specific subdivisions or areas, like Harbor Island. Look for signage that marks which streets or parking areas are for resort visitors or area residents only. 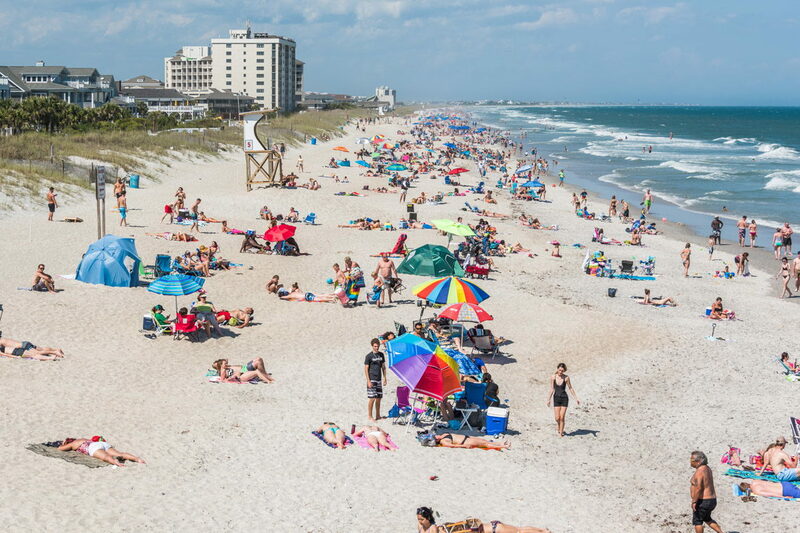 Like any beach town that wants to preserve its natural allure, Wrightsville Beach has a few rules and regulations that apply to public visitors. Be sure you follow these guidelines to ensure a safe and fun time throughout your beach-centric vacation. Please do not litter. No glass containers of any kind are allowed on the beach strand. Alcohol consumption and open containers of alcohol are not allowed year-round on the beaches year-round. It is against the law to leave beach equipment on the beach overnight. This includes canopies and chairs. Local noise rules are strictly enforced, and it is against the law to create unreasonably loud noises while visiting the beaches, for the comfort of everyone on the sand. Pets are not allowed on the beach strand from April 1 through September 30. Pets ARE allowed, however, from October 1st through March 30th. During this timeframe, pets must be on a leash at all times, and owners must properly remove of any waste. Surfing is not allowed within 650’ ft. of the pier, and in front of lifeguarded beaches when manned, as well as any areas that are posted with “No Surfing” signs. Watch for sea turtles, especially in the summer and fall months. Nest sites will be marked, and it is illegal for beach-goers to disturb or harass area where turtle nests are located. One of the favorite pastimes for Wrightsville Beach visitors is looking for shells, and depending on the crowds and weather conditions, the area can be a popular spot for treasure hunters of all varieties. Beachcombers who are new to the area will want to arrive early to acquire the best finds, and may want to head north – close to Shell Island and beyond – where the beaches are less crowded and more isolated. The shelling conditions can also be good at nearby beaches, (like Masonboro Island, which is only accessible by boat), as well as after a hurricane or summer storm, once the weather has passed, and the winds and waves have died down significantly. Fishing is a popular activity in Wrightsville Beach, and surf fishermen will find that there are miles of shoreline to go around when it comes to casting a line. A wide range of saltwater species can be reeled in from the ocean beaches, which is dependent on the season, and which includes (but is certainly not limited to), bluefish, sea mullet, mackerel, flounder, red drum, puppy drum, croaker, blow toads, and sharks. Fishermen will want to avoid popular beaches where a stray line can injure a swimmer or surfer, and will want to watch for lifeguarded beaches and / or popular beach access areas where fishing may not be allowed due simply to the local crowds. For the best chances of reeling in a few big catches, head to the Johnnie Mercer Fishing Pier, where the local oceanside fishing conditions are at their best. 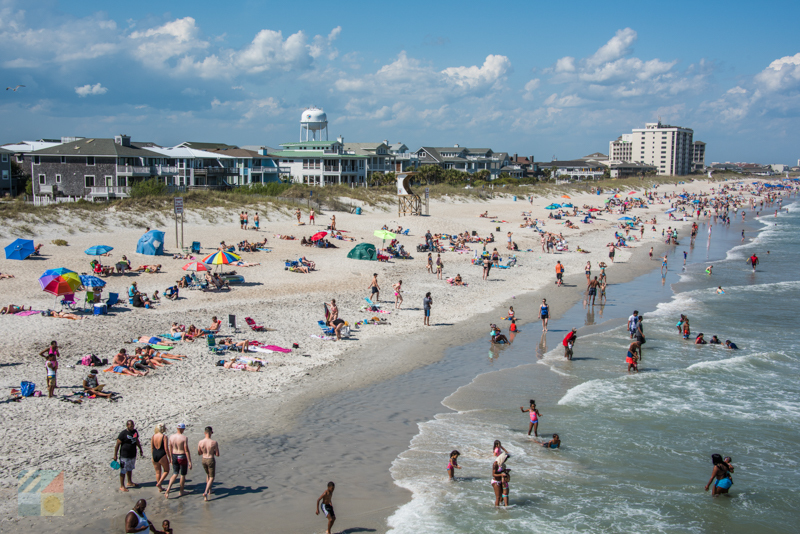 Many shorelines along Wrightsville Beach operate under a flag system to notify beach-goers of any potential hazards along the shoreline for swimmers, surfers, and anyone entering the ocean waters. Green Flag: A green flag indicates low hazard conditions, with clam waters and waves. Normal caution and care should be exercised when swimming in the ocean. Yellow Flag: A yellow flag indicates moderately hazardous conditions, where high surf and / or rip currents can be present. Beginning swimmers are discouraged from entering the ocean waters, and moderate and advanced swimmers should use caution. Double Red Flag: Generally present during hurricanes, a double red flag indicates that the waters are closed for public use. One of the biggest threats for beachgoers are rip currents, which can make sudden appearances on even the most sunny and clam days along the seashore. Swimmers can avoid rip currents by knowing the warning signs of when a current is present, which includes a section of ocean where the water is moving away from the shore instead of towards the beach. Watch out for abnormalities along the shoreline as well, and stick to lifeguarded beaches if the threat of rip currents is above normal. Above all else, if you get caught in a rip current, the key is to not panic. Never try to swim back towards shore, as the strength of the current will make this impossible and will only tire you out. Instead, swim parallel to the shoreline until you are out of the rip current and no longer feel the pull of the ocean. At this point, you can swim back to the shoreline. Wrightsville Beach is home to roughly a dozen surf shops and beach gear stores where it’s easy to pick up toys and supplies for enjoying the beach. Grab some cheap beach items like boogie / body boards, skim boards, rafts, and other fun supplies for an even brighter day on the beach. 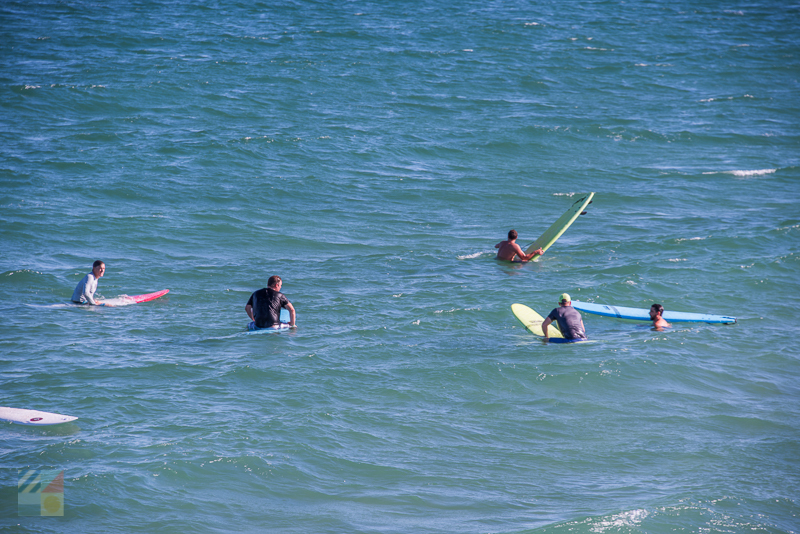 There are a number of surf camps and lessons available for visitors who want to learn the waves. Check out local surf shops for recommendations on instruction providers. Don’t forget the sunscreen! The sun is much stronger off the ocean waters, so sunscreen, (and preferably waterproof sunscreen), is a must for any beachgoer. For the best parking, arrive as early as possible. Parking areas in Wrightsville Beach can fill up quickly in the summer months, and especially on the weekends, when day-trippers from Wilmington pay the beaches a visit. Wrightsville Beach’s shoreline is a great spot for ocean lovers, thanks to a gentle sloping shoreline, smaller waves, and miles of room to go around. Spend a vacation soaking up the rays and enjoying hours of playing in the water by visiting this coastal destination where enjoying the local seashore is a breeze.